Presented in partnership with the Northwest African American Museum, Complex Exchange pairs Seattle community members from varying disciplines in a series of conversations related to issues of race, power, and politics of representation. Artists, technologists, activists, writers, and community builders tackle themes inspired by the exhibition, Kehinde Wiley: A New Republic, on view at the Seattle Art Museum, and The Harmon & Harriet Kelley Collection of African American Art: Works on Paper at the Northwest African American Museum (NAAM). Complex Exchange features presenters and practices that reference black experience and the lives of people of color from a local context. Kehinde Wiley is one of the leading American artists to emerge in the last decade. He has been ingeniously reworking the grand portraiture traditions of Western culture, in paintings of people of color in contemporary attire. Wiley’s portraits are highly stylized and staged, and draw attention to the dialectic between a history of aristocratic representation and the portrait as a statement of power and the individual’s sense of empowerment. 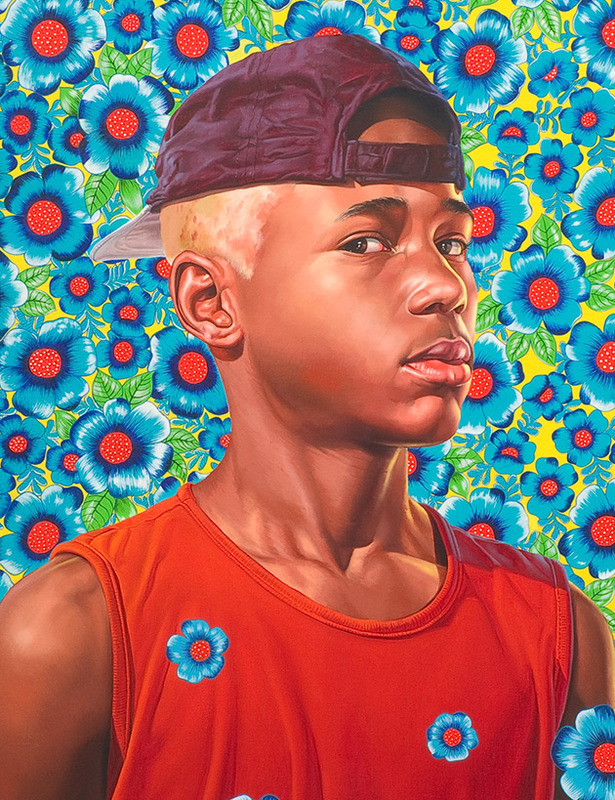 Wiley’s work can be seen at SAM in the special exhibition, Kehinde Wiley: A New Republic. *Note the programs on February 24 and April 13 will take place at NAAM. Image: Randerson Romualdo Cordeiro, 2008, Kehinde Wiley, American, b. 1977, oil on canvas, 48 x 36 in., Private collection, Golden Beach, Florida, courtesy of Roberts & Tilton, Culver City, California, © Kehinde Wiley, Photo: Robert Wedemeyer, courtesy of Roberts & Tilton.